Peel and cut the banana into 1cm thick slices. In a flat container (there is one in the delivery scope of the Steakreaktor) stir together the coconut milk and sesame paste. 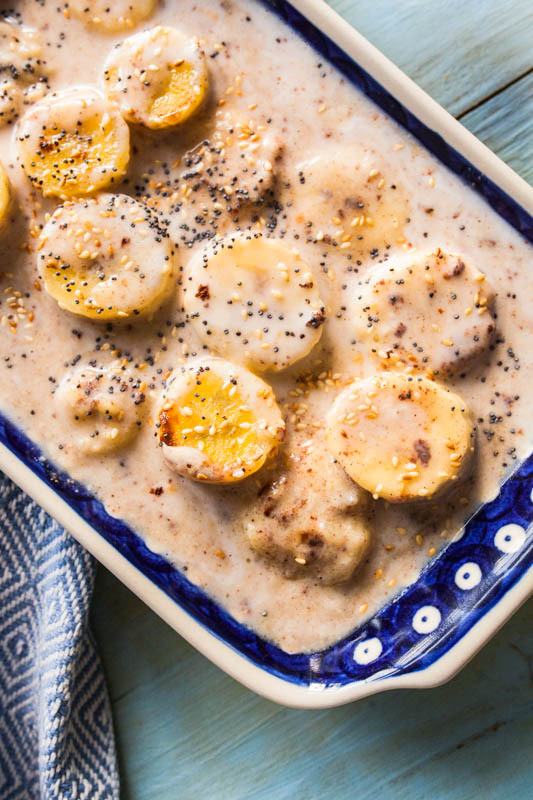 Place the bananas in the coconut milk and sprinkle them with sugar. On the highest rack at the highest temperature bring it to a boil (about 3 minutes). The sugar should caramelize slightly. Once the coconut milk is bubbling leave it under the heat for another 10-20 seconds. If you don't find it sweet enough just add any kind of sweetener you like.